A truely great peice of engineering from German manufacturer Kiddy. The Evolution Pro2 is one of their most recent car seats to be launched, and it is clear to say that it has been worth the wait! Suitable from 0-13kgs, or from newborn to around 15 months old, this Infant Carrier car seat ticks all the boxes, and has been designed to accommodate your child throughout the crucial stages of their development. It is possible to buy a newborn insert for premature babies too (if required). There is a liner inside (head-hugger) that can be removed when your child gets a bit bigger. There is a concealed mechanism within this infant carrier and with a single adjustment; the Kiddy Evolution Pro2 can be moved into a lie-flat, relaxed sleeping position. It’s a well-known fact that the supine position is healthier for a baby’s growing spine and blood oxygen saturation levels – this means a baby can be left in the Kiddy Evolution Pro for longer than a regular infant carrier and therefore gives peace of mind and more flexibility for the parents. Of course, the baby’s good health is the key focus in all positions: the excellent ergonomics of the Kiddy infant carriers have been additionally certified by a positive assessment by the ‘Aktion Gesunder Rücken e.V.’ (Campaign for Healthier Backs). The Evolution Pro2 can be used by belting into your vehicle, or the additional ISOFix Base can be used to attach the car seat via ISOFix into your vehicle. It can be used in conjunction with a number of pushchairs to create a wonderful travel system (including Kiddy Click’n Move 3, Kiddy City’n Move, UppaBaby Vista, UppaBaby Cruz, Joolz Day, iCandy Cherry*, iCandy Apple/Peach as a Single only, iCandy Strawberry*, Babystyle Oyster*, Baby Jogger City Select, Baby Jogger City Mini and Silver Cross Surf). Please note that additional car seat adaptors will usually be required. 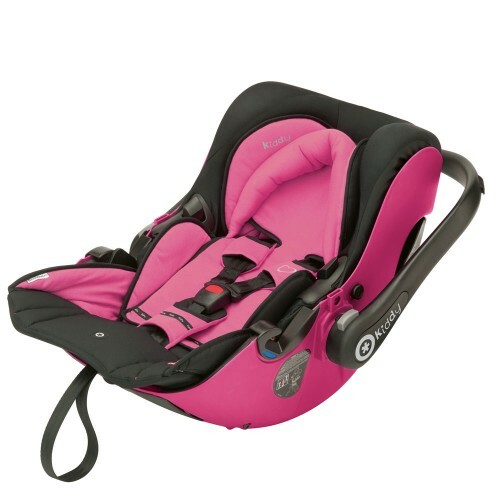 Each Evolution Pro2 has a unique colour style about it, usually with a matching shell body colour, but it is also worth knowing that each car seat features its own integrated Sun Hood that can be clipped on to the frame when in the up position. There is also the option of adding an additional parasol too. This Kiddy Evolution Pro2 is available in the colour design of Pink only. 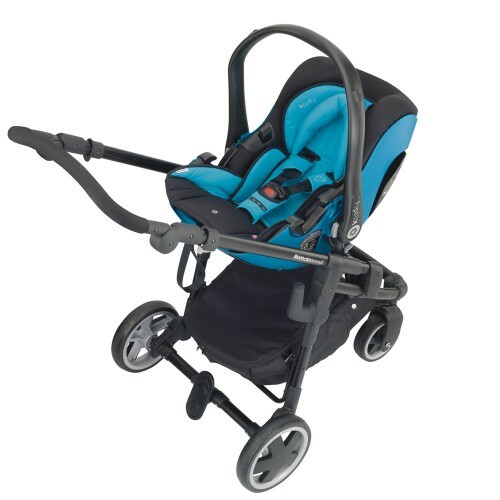 This product also comes with a Kiddy ISOFIX Base 2 as well.